Arms Around Bainbridge swimmers will swim 30 miles around Bainbridge again this summer to help support families in financial crisis due to major illness. You can help! 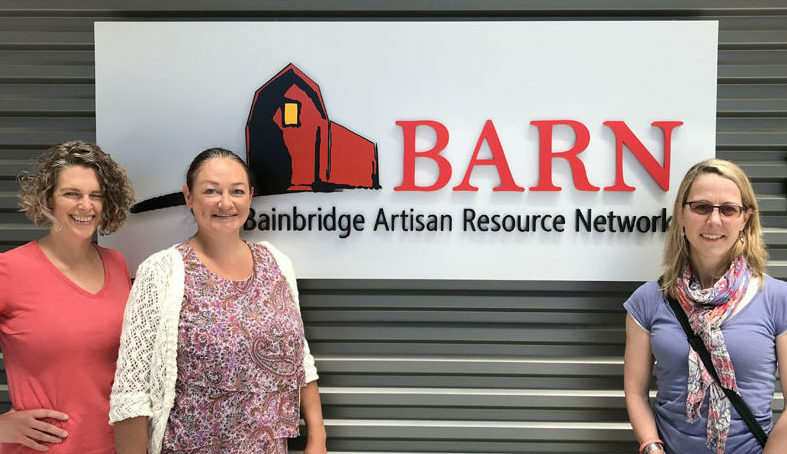 In this podcast, members of Arms Around Bainbridge (AAB), join us on What’s up Bainbridge to talk about their organization and the important work they’ve been doing since 2007 to help families and individuals in need of assistance. Listen here to hear heartening stories of their accomplishments and the background of this inspiring organization: Bainbridge Islanders, working together to assist those in need of support and encouragement. To learn more and support this important effort, visit armsaroundbainbridge.org . You’ll be glad you did! Credits: BCB host and audio editor: Bob Ross; publisher: Diane Walker; social media: Jen St. Louis.